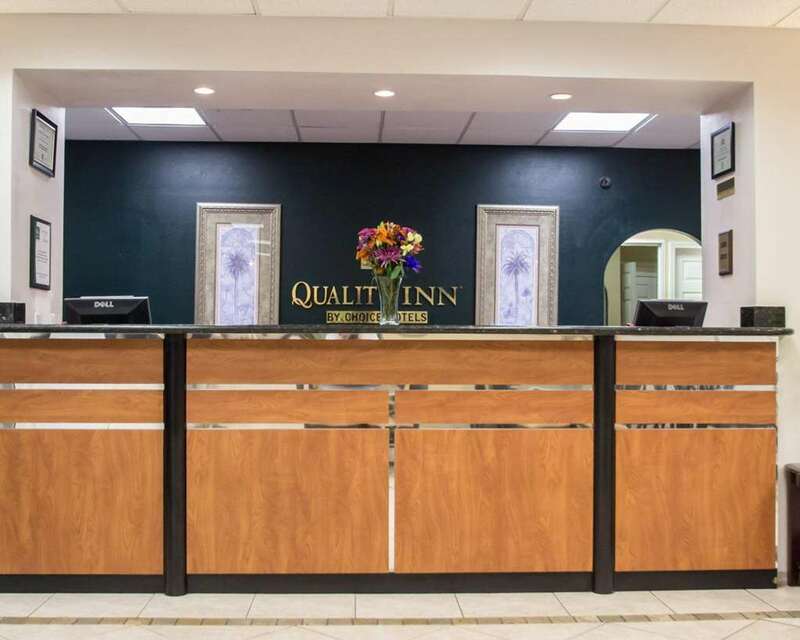 Get more for your money at the Quality Inn Kennedy Space Center hotel in Titusville, FL near Floridas Space Coast. This pet-friendly hotel is near destinations like Space Coast Regional Airport, Titusville Playhouse, American Police Hall of Fame and Museum and Port Canaveral. Space View Park and Kennedy Space Center are also close. Enjoy amenities like free breakfast, free WiFi, bus parking, guest laundry facilities, outdoor heated pool and access to fax and copy services. Guest rooms feature a flat-screen TV, desk, safe, hair dryer, iron and ironing board. Also, earn rewards including free nights and gift cards with our Choice Privileges Rewards program. Pets allowed. 20.00 USD per night, per pet. A maximum of 2 pets per room.